Your search returned 775 results from 145553 records. Call number: 915.1904 T727 Material type: BookPublisher: Korea : Seoul Metropolitan Government, c1994Description: 59 p. : ill., maps.Availability: Items available for loan: PYULIB-CL [Call number: 915.1904 T727] (1). Call number: 647.940688 I83H Material type: BookPublisher: Albany, N.Y. : Delmar, c1999Description: xvii, 236 p.Availability: Items available for loan: PYULIB-CL [Call number: 647.940688 I83H] (1). Call number: 647.940688 M462F Material type: BookPublisher: London : Continuum, 2000Description: viii, 116 p.Availability: Items available for loan: PYULIB-CL [Call number: 647.940688 M462F] (1). 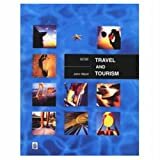 Call number: 338.4791023 M269C 2001 Material type: BookEdition: 3rd ed.Publisher: Australia : Delmar Thomson Learning, c2001Description: viii, 246 p. : ill.Availability: Items available for loan: PYULIB-CL [Call number: 338.4791023 M269C 2001] (1). Call number: 658.45 W149M Material type: BookPublisher: New Delhi : Response Books, 2000Description: 174 p.Availability: Items available for loan: PYULIB-CL [Call number: 658.45 W149M] (1). Call number: 658.8120954 B171C Material type: BookPublisher: New Delhi : Response Books, 1999Description: 333 p.Availability: Items available for loan: PYULIB-CL [Call number: 658.8120954 B171C] (1).